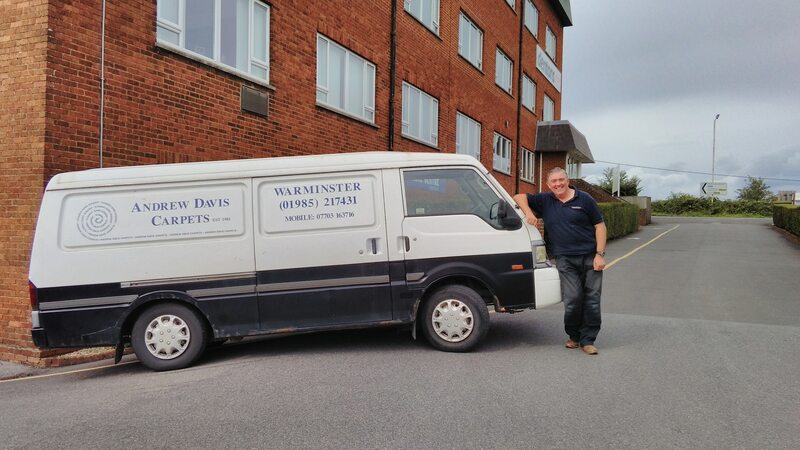 Andrew has been a self-employed fitter since 1981, he has a wealth of experience as a result and is ideally placed to help you make the right decision when it comes to the carpets best suited for your home. The biggest benefit for using Andrew is that he comes to you, after phoning or emailing him he brings suitable pattern books to you, measures and discusses your requirements, gives you a quote and arranges to come and fit. All in the comfort of your own home and at a time that suits you. Andrew advises as to the correct type of carpet and accessories for your requirements at competitive prices. 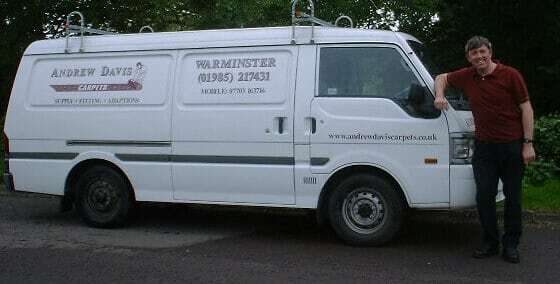 He has earned a good reputation over the last 36 years supplying and fitting throughout Wiltshire, Bath & North East Somerset and Dorset. Andrew uses some of the largest wholesalers in the UK, enabling him to supply just about any carpet on the market at competitive rates. He also is one of the few fitters who will fit, refit, adapt carpets not originally supplied by himself, he can also collect carpets for you if purchased from a mainstream store. Andrew with brand new van purchased to celebrate 20 years’ in business. All these years later he’s still got it! This van may be old but if you can find me a van that I could put a 4-meter carpet inside without going longer, higher or wider and would fit in a multi storey car park then please let me know!